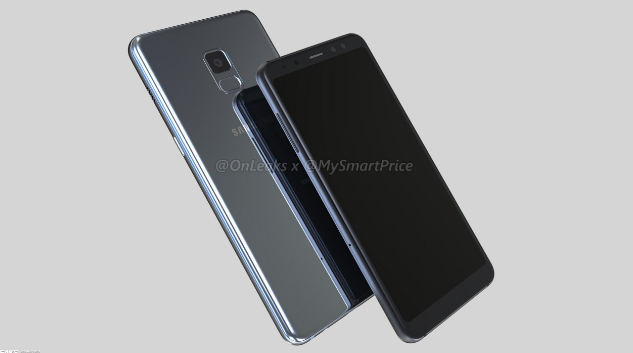 Previously we have reported that Samsung has confirmed the existence of Galaxy A5 smartphone (2018), where the model number of the smartphone appears on the company's official website. Now it seems the same thing happened to his brother, the Galaxy A7 (2018) which has also been confirmed its existence. But this time the Galaxy A7 smartphone (2018) appeared on the site of Samsung Kazakhstan, where the model number of the device is SM-A730F. Unfortunately, the list does not confirm anything related to the Galaxy A7 smartphone (2018) regardless of its existence. The page appears to be a placeholder page, which will be updated once the device is launched, including its specifications and price. Although it did not reveal anything about the specs, previous leaks from the device revealed that the Galaxy A7 (2018) will come with Super AMOLED Infinity Display screen, like Samsung's flagship for this year. As for the kitchen pacunya will use 14nm Exynos 7892 octa-core chipset juxtaposed with 4GB or 6GB of RAM. According to rumors, this smartphone will also come with IP68 certification, which means the device will be dustproof and waterproof. Some reports also indicate that the phone will be equipped with a dual-camera setup on the back, and will have a USB Type C port as well as Bluetooth 5.0. Samsung Galaxy A7 (2018) and Galaxy A5 (2018) are expected to slide in January 2018. But there is a possibility if Samsung will launch both smartphones by the end of this year because the support pages have appeared online.